1.In large skillet, cook beef and onion over medium-high heat 5 to 7 minutes or until browned, breaking up meat with side of spoon. 2.In 5- to 6-quart slow-cooker bowl, combine beef mixture, tomato sauce, beans, corn, tomato paste, brown sugar and chili style seasoning, stirring to mix well. Cover slow cooker with lid and cook on low 6 to 8 hours or on high 3 to 4 hours. Makes about 4 cups. 3.To serve, stir in cilantro. Split buns, and toast or warm, if desired. 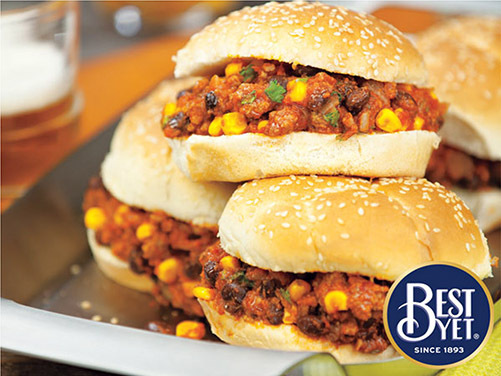 Evenly spoon beef mixture over bottom halves of buns; replace top halves and serve.